Though you might feel a sense of relief when the last bell of the day rings, a teacher’s job is far from over at that point. You already know that success tomorrow depends on what you do in those minutes after school before you get in your car for your commute home, but how many of us critically consider how we truly spend that crucial time? 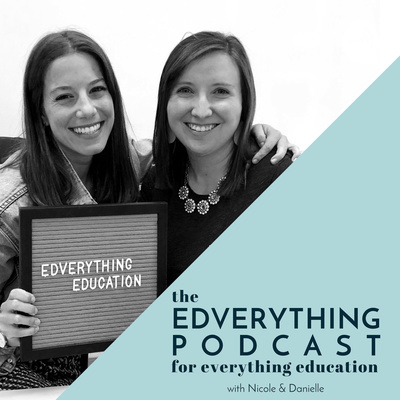 This week Danielle and Nicole discuss the why and how to create your perfect after school routine. Don’t leave school until you’ve accomplished these tasks. We will help you batch and organize your way to a less stressful next day with a no-fail routine that works no matter what class you teach. In this episode you’ll find: The Teacher's Toolkit: Before Leaving School Checklist bit.ly/BeforeYouLeaveChecklist The bell rings, but the day isn’t over just yet. Set yourself up for success with a system, a fool-proof, customizable routine so you never find yourself at home stressed about tasks you missed again. Click to download now! Wunderlist wunderlist.com Wunderlist is the easiest way to get stuff done. Whether you’re planning a holiday, sharing a shopping list with a partner or managing multiple work projects, Wunderlist is here to help you tick off all your personal and professional to-dos. Why teachers should get involved in moderating an after school activity, and how to do it right. Learn how to engage your students with an icebreaker activity that is both academically rich and exciting!